Our hotel Edelweiss is new, modern, central, we cook with passion, our hospitality is in our heart. We offer a lot of possibilities for relaxing! 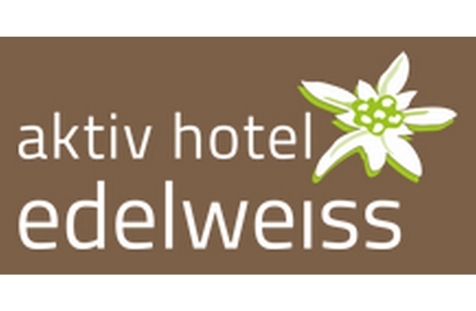 Welcome to the Active Hotel Edelweiss***S in Reschen in Vinschgau! Our entirely renovated house is located at the shore of the picturesque Lake Reschen in Vinschgau. 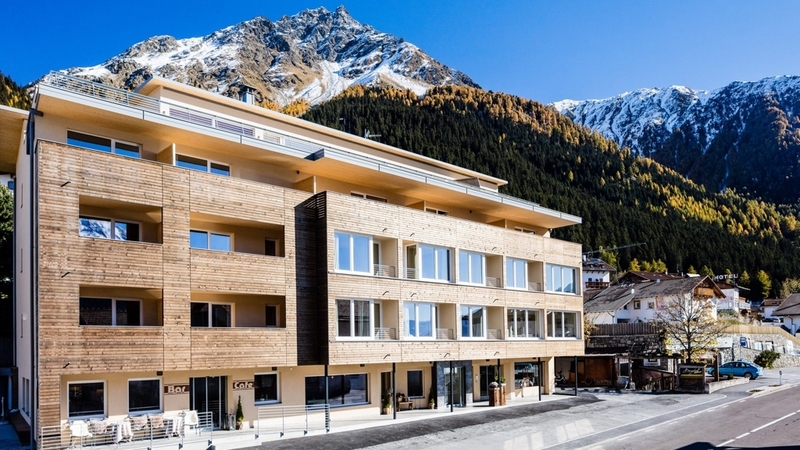 The Active Hotel Edelweiss is the ideal accommodation for active and gourmet holidays, letting you experience the rich cultural landscape of South Tyrolean traditions. The surrounding area of Lake Reschen and of our hotel is a real nature paradise with sparkling mountain lakes, green alpine meadows, dense woods and impressive peaks. In our family-run house, you will immediately feel at ease. The Hotel Edelweiss was built in 1969 by Helmuth Raffeiner and Maragarete Renner. Today, it is run by their children with much love and passion. Our guests are offered a comfortable and familiar atmosphere, as well as modern suites and rooms, which are light-flooded, cozy and equipped with natural materials. They also dispose of a balcony or a terrace with wonderful view over the surrounding area. Wellness lovers are offered a well-being oasis with infrared cabin, an indoor pool with lake view, a panoramic sauna and a relaxation room on the fourth floor, as well as a hot whirlpool on the rooftop. The spa offer also includes pleasant classic and special massages. In our hotel, connoisseurs are offered everything they desire. Every day, we pamper you with refined dishes, combining modern and traditional elements, accompanied by the suitable wines from our wine cellar. Active vacationers will love Lake Reschen! Here, any season offers a broad series of activities such as kite surfing, skiing or hiking. Cosy double room (ca. 24-27 m²) with balcony or loggia, lounge, TV, free WiFi and safe.In the bath room you will find shower, toilet, hairdryer, shampoo, shower gel and bathrobe. Spaziosa camera doppia (ca. 29 m²) con balcone, divano, TV, WiFi gratuito, cassaforte e bagno con doccia/WC e asciugacapelli. nei nostri bagni trovete sciampo e doccia schiuma. Suite familiare (ca. 32 - 45 m²) con 2 camere matrimoniali separate oppure 1 camera matrimoniale e una con due letti seperati, divano, balcone, TV, WiFi gratuito, cassaforte e bagno con doccia, WC e asciugacapelli. Nei nostri bagni trovete sciampo e doccia schiuma. Our new created Edlweiss suite is 30 square meters. Dreamly view on lake Resia directly from the bed and a grand balcony. Our suite ist equipped with a sitting area, tv and telephone. In the spacious bath rooms is a with WC and shower, shampoo, shower gel and a hair dryer. The dressing gown and the bathing shoes you will find in your room. Free Wifi. Our panorama view suite (ca. 39 m²) offers a spacious terrace with panoramic view on the Resia Lake, the room is equipped with double bed, comfortable lounge, walk-in cupboard, TV, free WiFi, safe and bath room with shower, toilet and hairdryer. In our bathrooms you will find shampoo und shower gel.